Since October, fund managers have become increasingly frustrated by the continuous swings of the S&P 500 Index. The level of volatility that currently exists has not been seen since the financial crisis was at its height. It has led to the current existence of a negative benchmark for 2018, despite the highs at the start of the year. This is a serious concern for a stock market index that has long since been recognized as a good early indicator of movements in the US economy. It’s also a situation which is being reflected across the US stock market. 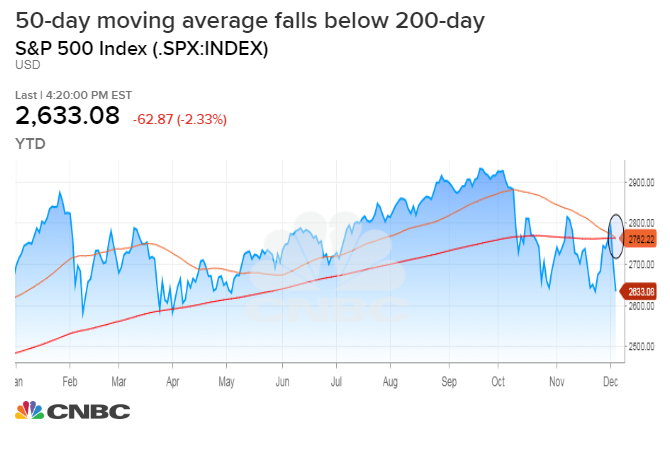 In fact, this could be the worst year since 2011 for the markets, with latest charts and swings seeming to be a sign that the situation is set to continue. There are many reasons for the current volatility in the market. Two of the main factors are concerns about interest rates and the remaining trade war uncertainties. It’s unclear whether the Federal Reserve will hike interest rates again in December, but the possibility is having an effect on the markets. An even bigger concern, whenit comes to the volatility of stock prices, is the continuing trade war issue. Despite the recent advances at the G20 summit, the future of trade issues between the US and China is still uncertain. This situation worsened with the arrest of Meng Wanzhou, chief financial officer at Huawei and daughter of the company’s founder. The Huawei executive was arrested in Canada in connection with the alleged breach of sanctions against Iran and possible extradition to the US is pending. These developments seem set to place serious barriers in place to stall the advancement of the trade war truce which was agreed at G20. Huawei is a giant of technology in China and the Chinese government is unlikely to react well to the latest diplomatic incident. Given the uncertainty caused by volatility levels over recent months, there does not seem likely to be any positive change to the situation in the near future, when it comes to stocks. Although FOREX trading has remained relatively stable, equities have been hardest hit. Traders are becoming disillusioned with the constant see-saw effect.